Snack time: Organic peanut butter sandwich,cheese,fruit leather,cheddar crackers,chocolate milk 6-14, a photo by Rina Ameriasianbento on Flickr. 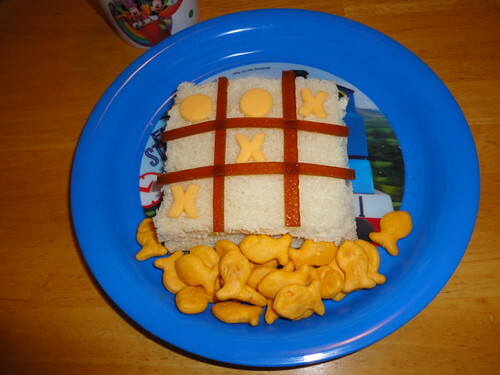 This is another tic-tac-toe sandwich that I prepared for 'tea time' during summer holiday. Tea time is usually served between 3-4 p.m. in our home.